Berk Technology Inc. was founded in 2001 as a parts manufacturer and OEM manufacturer for aftermarket high performance automotive industry. From its humble beginnings as a one man operation, Berk Technology has grown into a global organization with state of the art manufacturing centers in the US , Japan , Mexico , and the pacific rim. Berk Technology;s extensive racing experience in events such as the Redline Time Attack, Superstreet/Euro Tuner Time Attack, NASA, and SCCA, allows them maintain the link between motorsports and the street. Their parts development and R&D is truly race bred and you can be assured that the products are track tested and dyno proven. High Flow Metallic Cats for your high flow VQ! 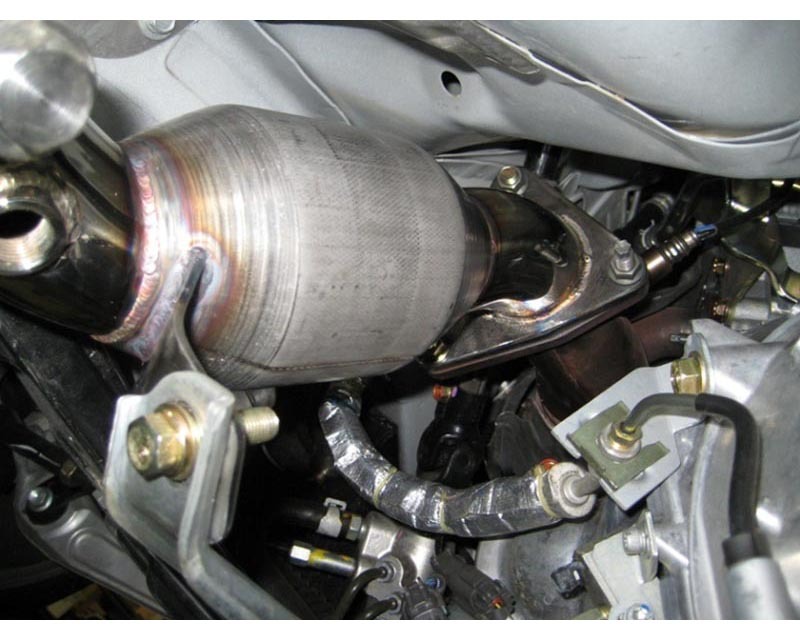 -Dual 60mm High Flow Catalytic Converters (HFC). -Metallic substrate spun catalytic converters, OBDII & 49 state compliant. -Metallic substrate offers higher flow and lighter weight. -Uses advanced spiral wound ultra thin foil. -Includes our custom made 99.99% pure electronic grade copper gaskets. -Made with pride in the USA. Berk Technology catalytic converters are EPA/Federal certified. Berk Technology is a manufacturer of high quality aftermarket automotive parts for specialized vehicles. Their facility houses a state of the art research and development center where extensive testing goes into each and every one of their products. In addition, all of their products go through rigorous testing on and off the track to ensure the utmost in quality prior to going to market. Extensive racing experience in events such as Redline Time Attack, Super Street / Euro Tuner Time Attack, NASA, and SCCA, allows Berk to maintain the link between motorsports and street driven applications.